Finding the right car tyres for your vehicle at Tyre Shopper is a simple process and, once you’ve found them, you can have them fitted at any one of our 230 fitting centres across the country. We also offer a mobile fitting service, meaning we’ll come to you to fit your tyres. Once you’ve picked the car tyres best suited to your car, you can search for your nearest fitting centre by postcode to find out which location is closest to you. With over 1,000 technicians nationwide, we also offer an all-inclusive mobile tyre fitting service so we can fit your new tyres at home or at work. We have car tyres that will suit most budgets, performance requirements and vehicles. Our range includes budget tyres, mid-range tyres, premium tyres, winter tyres, 4x4 tyres, and much more. For more information about our large range of tyres, have a look at our tyre guide or contact us on 0800 731 0133. 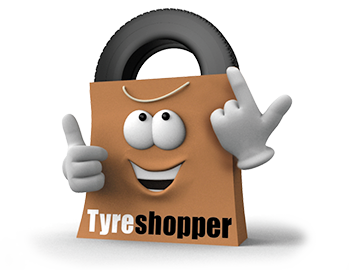 Why buy car tyres from Tyre Shopper? We are a trusted supplier of car tyres and are known for providing our customers with the highest quality car tyres at the lowest possible prices. We have made it as easy as possible for you to choose, buy, and arrange for your tyres to be fitted on our website. We offer completely fitted tyres at an all-inclusive price. This means VAT, delivery costs, and fitting charges which consists of a new valve, environmental disposal and a wheel balancing service. There are no hidden charges and we guarantee that if you shop with us, you’ll be paying the lowest price on the market, because we compare the prices from all our biggest competitors to ensure that we offer our tyres at the cheapest possible price. We have a 24-hour call centre service which is free to call from most landlines and our maintenance team consists of more than 1000 tyre technicians across the UK. Our dedication to providing quality tyres to our large customer base has earned us an Experian ™ Hitwise top ten award. See for yourself why we are the UK’s no 1 online tyre supplier by visiting our Trustpilot profile, where we have over 25,000 reviews and an overall excellent rating.